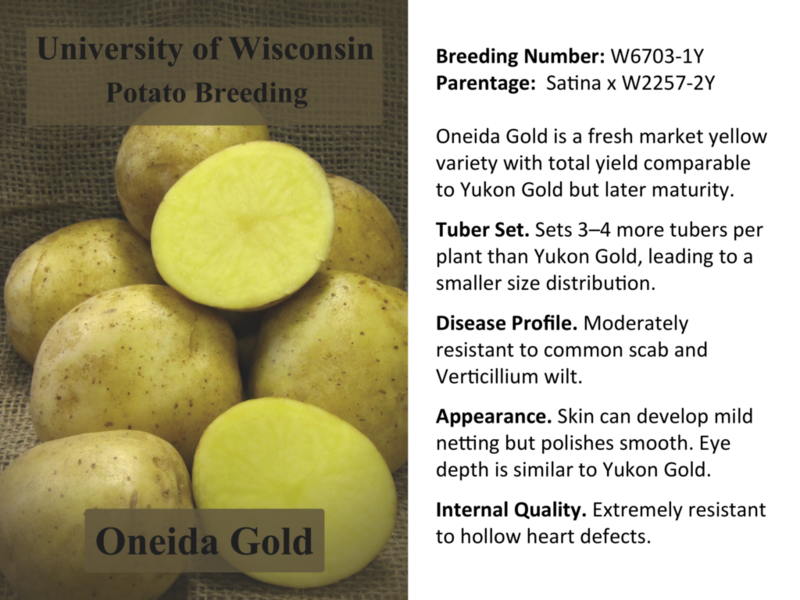 The University of Wisconsin-Madison initiated its potato breeding program in 1936 under the direction of Gustav Rieman, who supervised the program for 25 years. In 1961 UW released the variety ‘Superior’, which became a major commercial success for the round white market. In 1962 Stan Peloquin became the principal investigator and continued until his retirement in 1994. 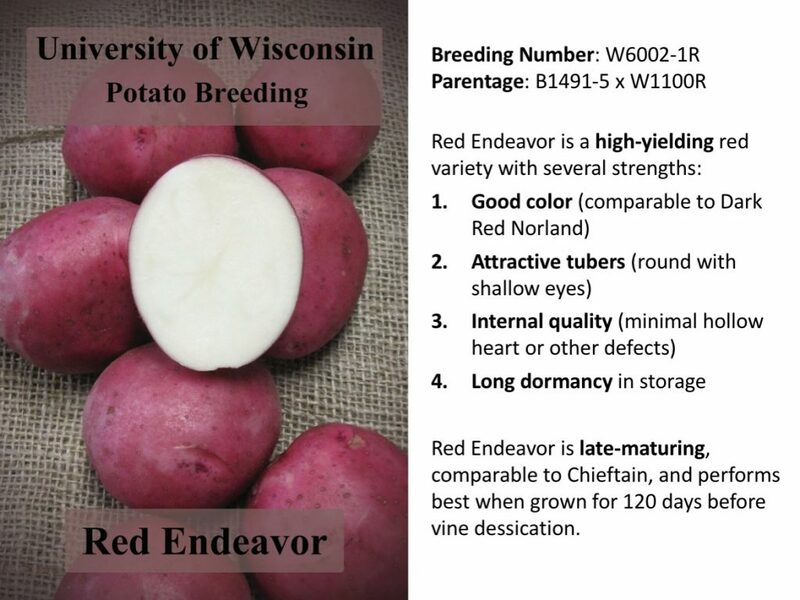 In 1990 UW released the variety ‘Snowden’, which was a major commercial success in the chip processing market and continues to be grown on thousands of acres. From 1995 to 2005 Jiming Jiang directed the breeding program, followed by Jiwan Palta from 2006 to 2013. Jeffrey Endelman became the program leader in 2014. 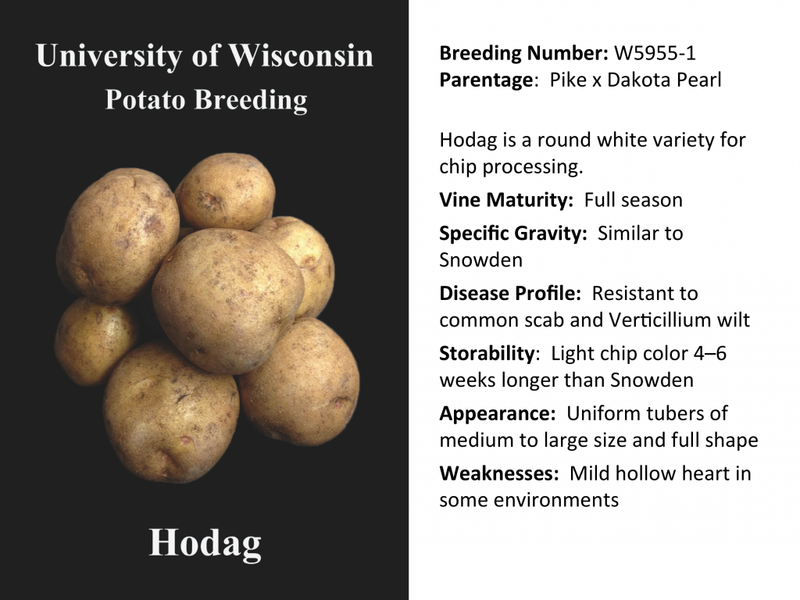 In 2002 the SpudPro committee of the Wisconsin Potato and Vegetable Growers Association (WPVGA) was established to facilitate the commercialization of new varieties. 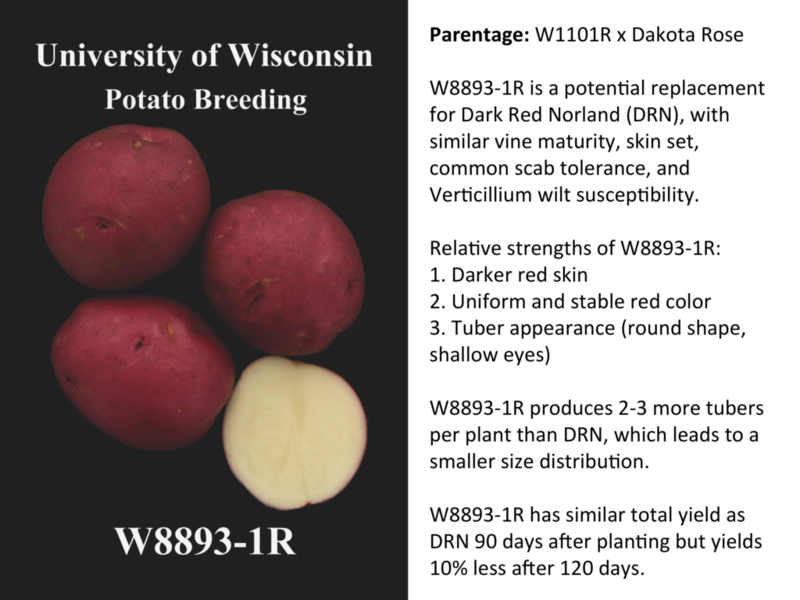 This committee brings together people from diverse backgrounds with an interest in variety development, including growers, processors, marketing experts, UW researchers, and the Wisconsin Seed Potato Certification Program. 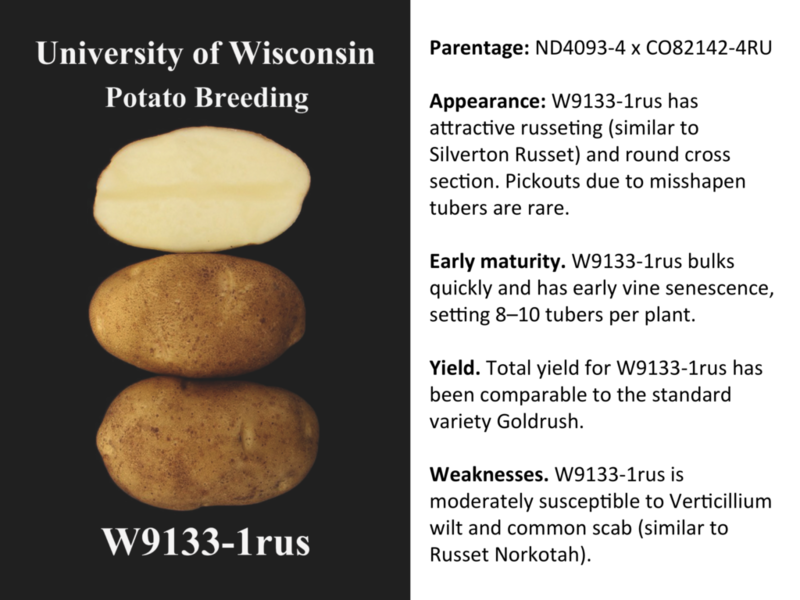 New varieties are assigned to the Wisconsin Alumni Research Foundation (WARF), a non-profit designed to protect and license inventions generated at UW-Madison. 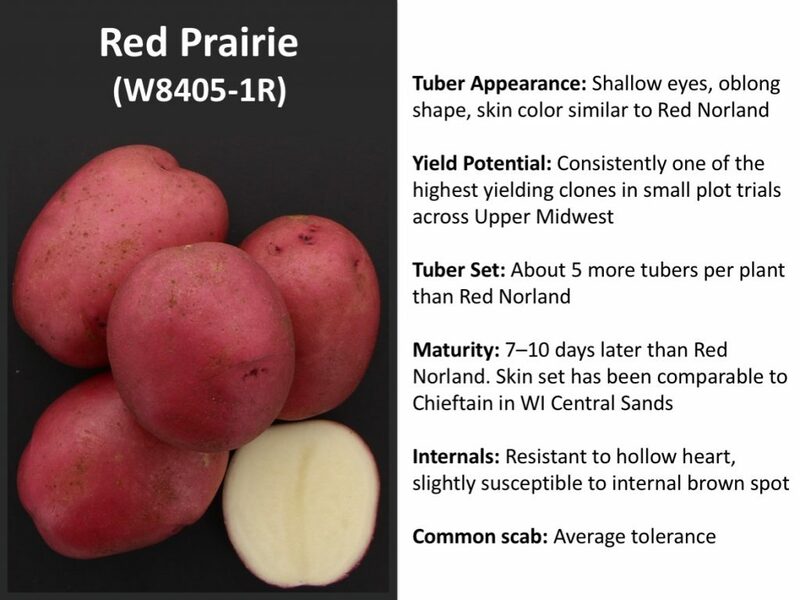 Prior to 2016, new varieties were licensed directly from WARF. Beginning in 2016, new varieties can be licensed for domestic production through the Wisconsin Crop Improvement Association (download the current agreement). For further information about domestic licensing, contact John Petty at WCIA (wcia [at] mailplus [dot] wisc [dot] edu). For questions about international licensing, contact Emily Bauer at WARF (emily [at] warf [dot] org).